Chloe loves going to school, but lately something is different. She has all the ingredients of a great friend and still wonders, "What do you do when friends don't treat you with kindness?" Find out how this brave girl navigates the trials and tribulations that pop up on her way to discovering the recipe for lasting friendship. This children's picture book gives boys and girls a realistic framework on how to handle challenging situations that commonly occur in friendships. When Maria Dismondy was a little girl she was teased for her curly hair and favorite lunch-box fare, spaghetti in a hot dog bun. Many moons later, these and other real-life moments continue to fuel what is now her critically acclaimed children's book writing career. 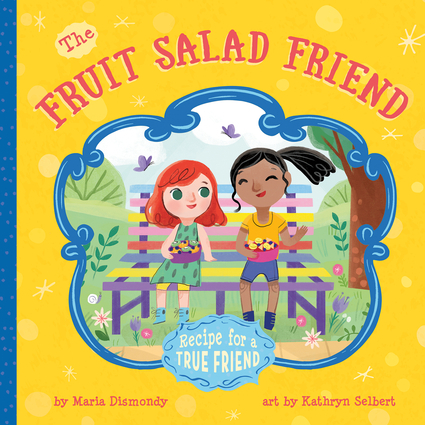 Maria has penned nine books featuring topics that range from anti-bullying to overcoming adversity, to friendship trials and tribulations, and beyond. Maria is dedicated to empowering those around her through her roles as author, teacher, public speaker, community leader, and friend.